Are you looking for the perfect travel trailer that will work for a vacation or just a quick weekend get away? 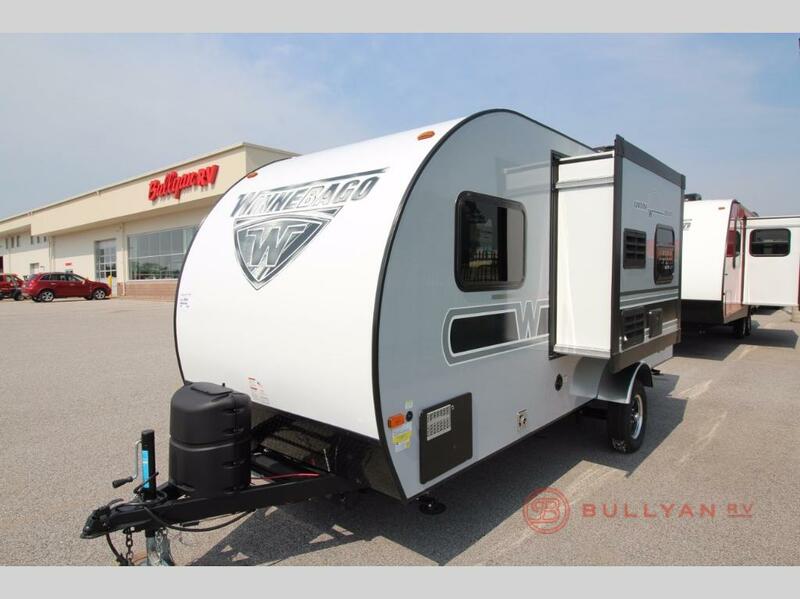 Look no further than the Winnebago Drop travel trailer 170S for sale! The Drop is easy to tow, aerodynamic (which makes it look pretty sleek!) and full of fun features. Let’s explore why this could be the perfect trailer for you! Check out this lean, mean camping machine! Just because this sleek little beauty is compact, doesn’t mean you lose any of the comforts of home! 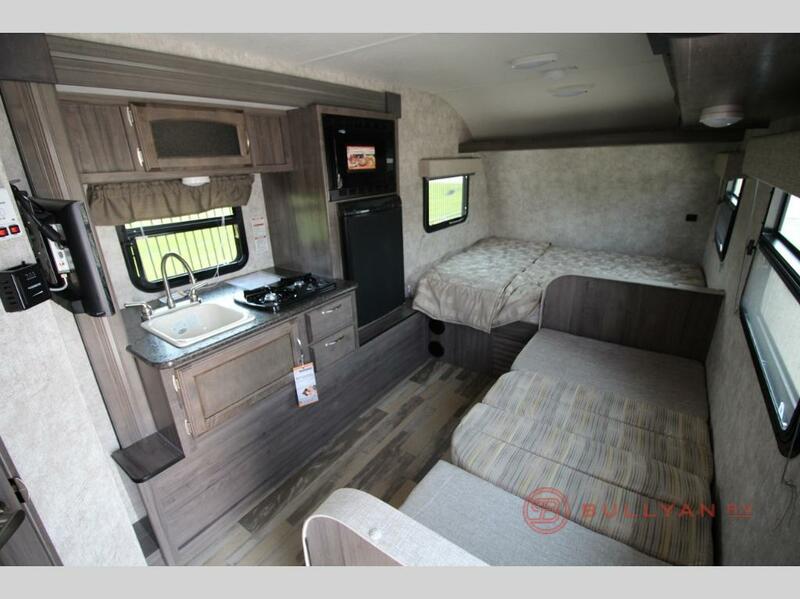 Fully equipped with a front queen size bed, rear full bath, and a kitchen on a slide-out for more space. The cute dinette is perfect for a romantic meal for two or just spending time together. The Drop travel trailer has plenty of storage above the dinette, in the kitchen, and an exterior pass through storage compartment. There is also a handy wardrobe outside of the bathroom. Refrigerator to keep your favorite beverages cold. Microwave oven for quick snacks. Two burner cook-top for cooking your favorite dinners. Single bowl sink for easy clean up. And guess what? This little rolling cottage even has space for a quaint bathroom with all the essentials. You will find a corner shower, vanity with sink, and toilet. Everything you need to get nice and clean and it’s all in this self contained camper! With everything you need in a perfect little package, you won’t be able to get enough of the Winnebago Drop travel trailer 170S. Did we mention they come in different, fun color choices? You will need to pick yours out in person at Bullyan RV! Contact us today and we will help you pick out your favorite Drop travel trailer.